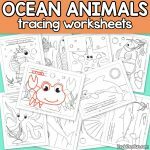 Tracing is an excellent way to teach preschoolers the fundamentals of pencil control and these safari and jungle animals tracing worksheets are just perfect for that. 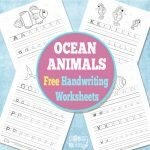 Before a child can begin to write letters and words, it’s a good idea to teach him or her how to trace. 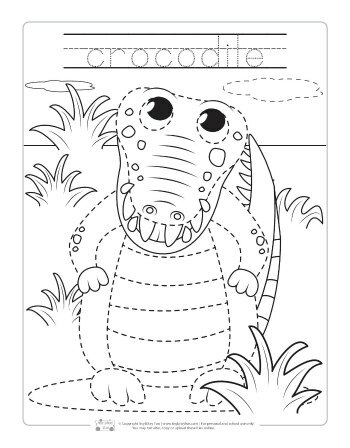 All our coloring pages for kids. 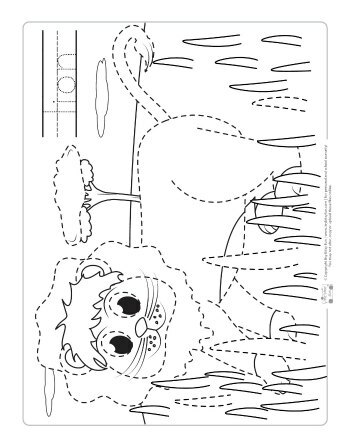 This is why we’ve created these fun and engaging safari and jungle animals tracing printables. 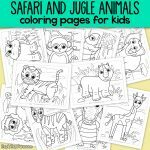 Children will not only gain experience in pre-writing and writing, but will also learn about safari and jungle animals, such as crocodiles, monkeys, and elephant. 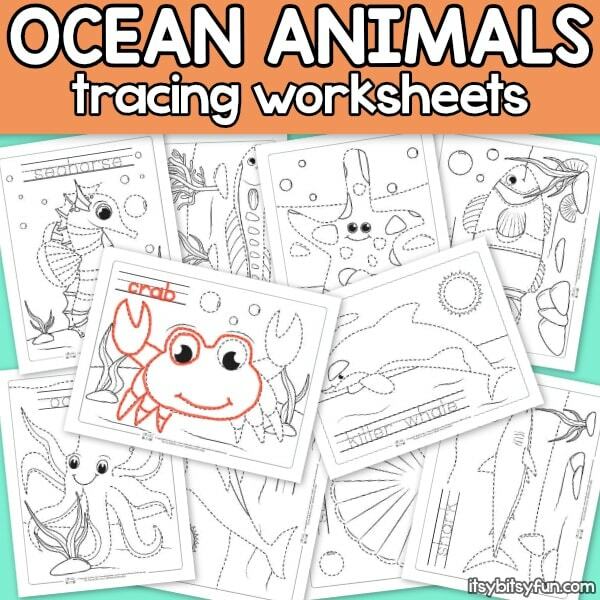 Each of the tracing printables have an adorable animal drawing with tracing dashes around the outline of it. 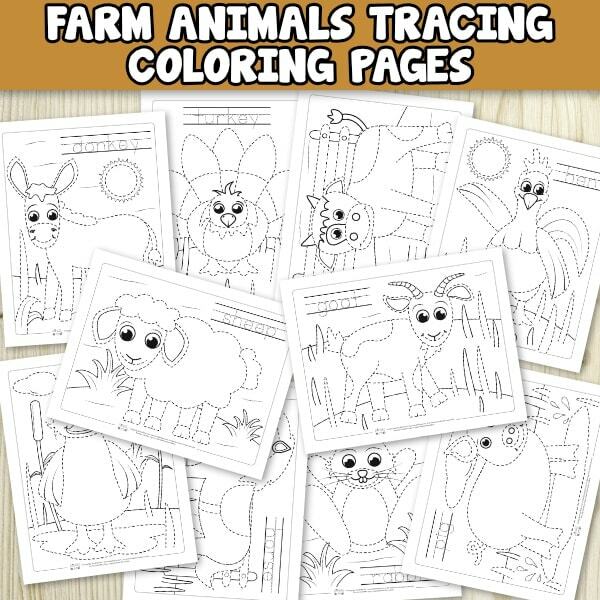 In addition, each animal is depicted in its natural habitat with additional tracing opportunities on the background, such as trees, grasses, and clouds. 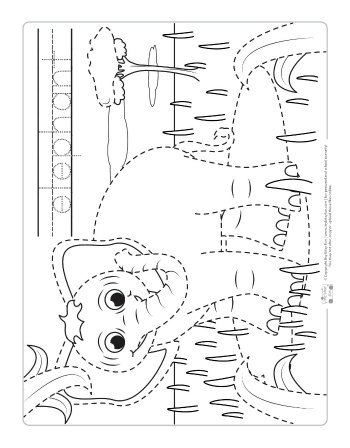 At the top of each worksheet is the name of the animal in dotted standard block print for easy tracing. 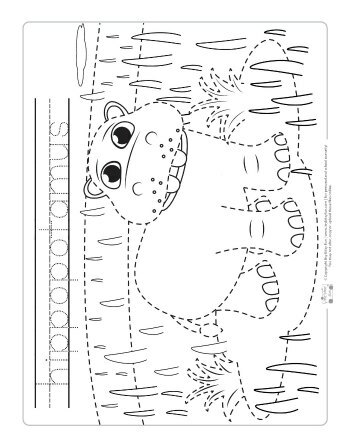 In addition to being an exercise in pre-writing, these fun worksheets can be colored in with crayons or markers. 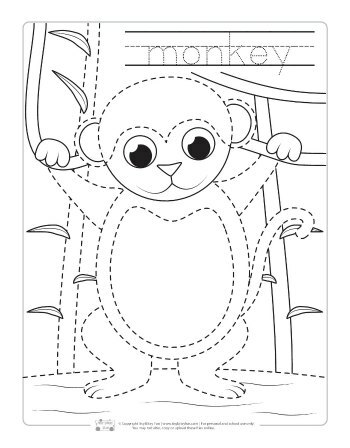 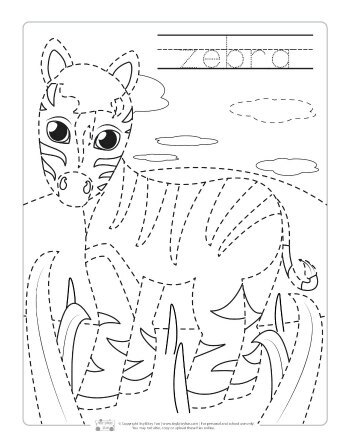 In this free printable worksheet pack you will get 10 different safari and jungle animals. 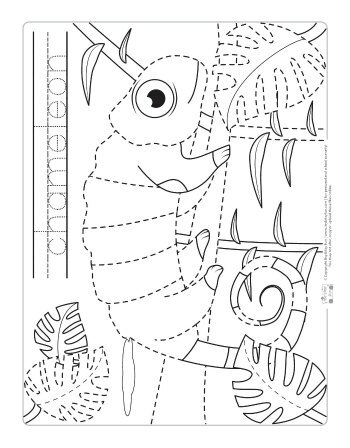 If you choose, you can laminate the pages for reuse in your home or classroom. 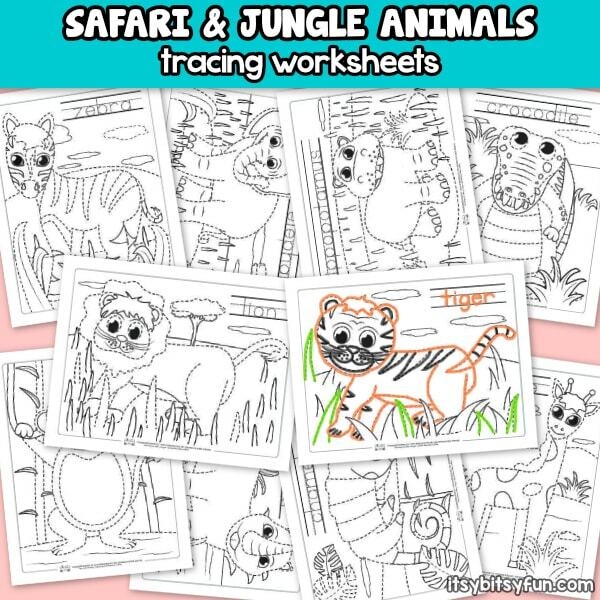 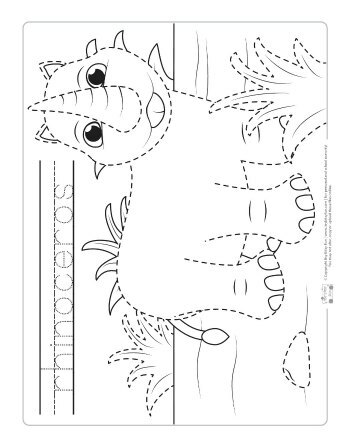 These safari and jungle animals tracing worksheets can be used alone or as a larger unit on animals. 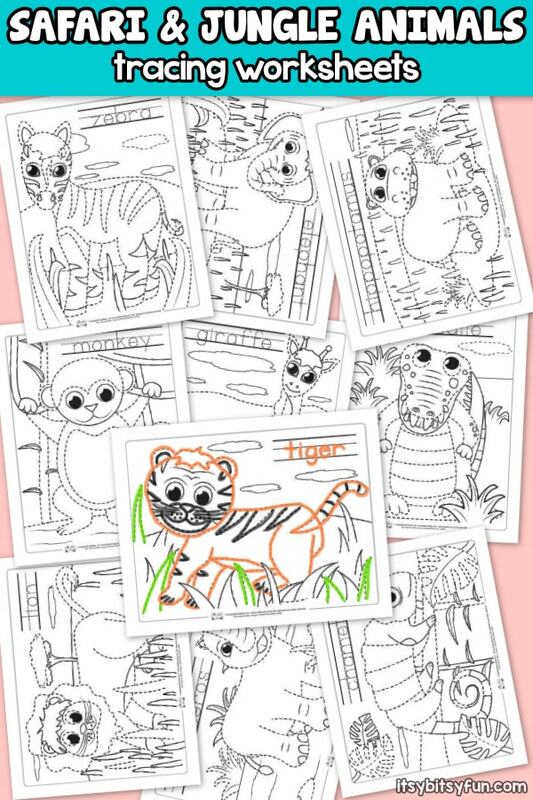 Staple the sheets together to create a booklet for your students, and include a blank cover for children to draw their favorite animal to make a complete project on jungle or safari animals. 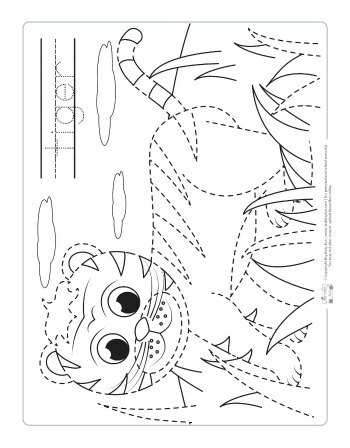 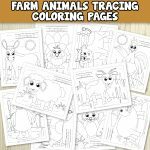 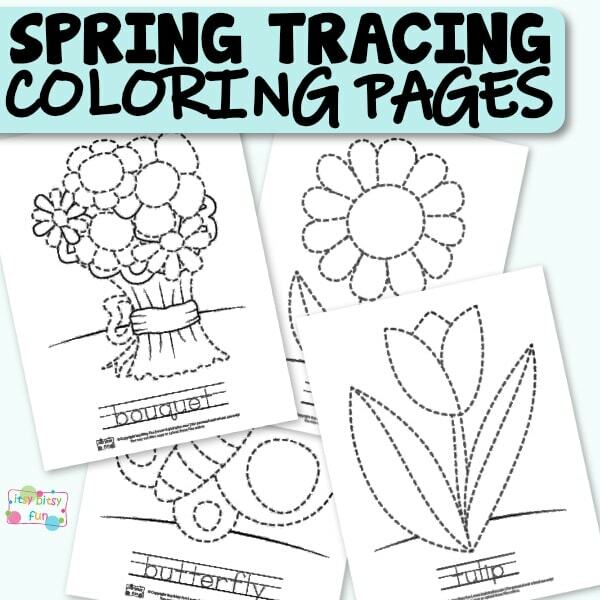 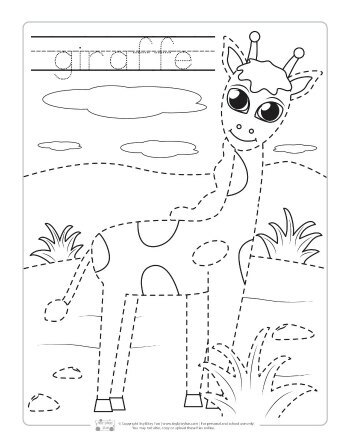 Get your Tracing Coloring Pages – Jungle Animals here.